In a move aimed at improving its bottom line and environmental impact, United Parcel Service (UPS) plans to purchase 1,000 propane-powered package delivery trucks for use in Oklahoma and Louisiana. The trucks will replace older gasoline and diesel fueled vehicles, and plans are in the works to continue the expansion into other states as well. 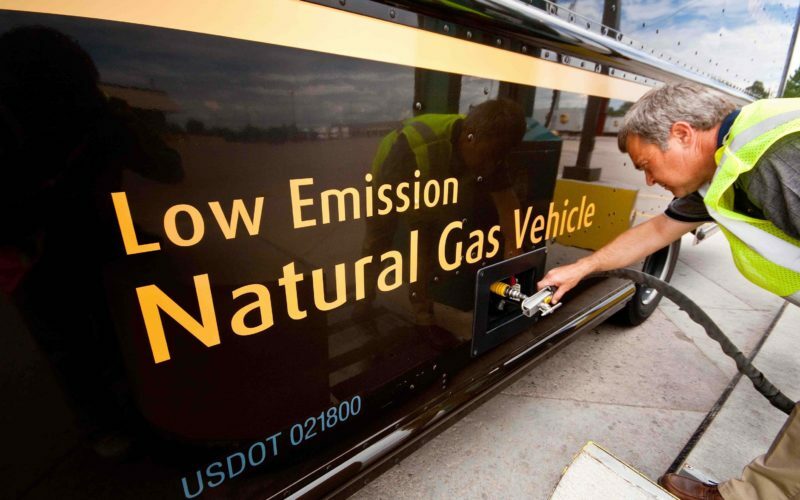 In a release out this week, Atlanta-based UPS says the propane truck investment will expand their alternative-fuel fleet by 32% — that’s 3,150 electric, hybrid electric, and compressed and liquefied natural gas vehicles. In total, UPS operates 96,000 vehicles that deliver small packages across the United States. UPS says the new trucks will begin operating by mid 2014. The investment isn’t purely focused on improving environmental results, even though it is known propane burns cleaner than traditional fuels. Normally, propane costs about $1.25 to $1.50 a gallon less than gasoline or diesel and gets similar mileage. In recent years propane has been more widely available as a result of increased natural gas production in the U.S. – and with the accessible supply comes more price stability. That may not be the case this winter. While propane production has been steadily soaring and demand has remained steady – three factors have caused inventories to sit nearly 50% lower than they were last winter. American propane exports exceeded 400,000 barrels a day for the first time in October. Propane exports have been steadily rising from about 150,000 barrels a day in January 2012. As companies like UPS continue to diversify their fleet with alternative-fueled vehicles, it is vital they manage their supply chains and commodity price risk exposure by leveraging trading and risk management systems similar to the solutions used by energy organizations. capSpire is a global consulting and solutions company serving the Commodity Trade and Risk Management sector of the energy industry. Headquartered in the growing technology hub of Fayetteville, Arkansas, with an office in Tulsa, Oklahoma, capSpire has served over two dozen clients across North America and Europe. capSpire provides its clients with deep business and system expertise to simplify and streamline its commodity management functions for crude, natural gas, refined products, NGLs, coal, iron ore, agriculture and freight. Chief among its service offerings are IT strategy and planning, system selection, bespoke software development, implementation services, systems integration, complex enterprise content management and ongoing support.